JennJenn Lee:很多人從小的志願就是長大要當醫生包括我自己也是一直到正式踏上這條路後才慢慢瞭解這是個什麼樣的職業我不想當醫生 我只想行醫我想幫助人 想有能力減輕別人的痛苦 想照顧身邊人的身體健康卻沒想過 開死亡證明書的是我們 告訴家屬患者不治的是我們 往往陪病人走完最後一程的也是我們無奈很多病治標不治本 我們就是在跟病人與時間拔河最終沒有人輸得起...卻都得放下人生無常. 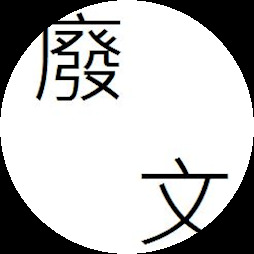 JennJenn Lee:即將25的我念了大半輩子的書懂了幾件事我不是天生聰明 是後天努力總是不聽老人言 要碰到才學會沒有什麼事是理所當然_妳很清楚未來的妳想要什麼希望妳一直努力往那個方向前進.30歲回來看時 Have no regrets. JennJenn Lee:I refuse to stress myself out about things I cannot control or change. This is my stress-free zone, my little escape out of the med bubble. #bakery生活圍繞著醫院，難得有機會為朋友做聖誕節&生日蛋糕. 烘培真的很舒壓～Merry Christmas! JennJenn Lee:新的一年希望我能做到將心比心無論年幼老少富貴貧窮都能無分別心的用心對待每一個人Be kind, but not weak.Be humble, but not timid.Be proud, but not arrogant.